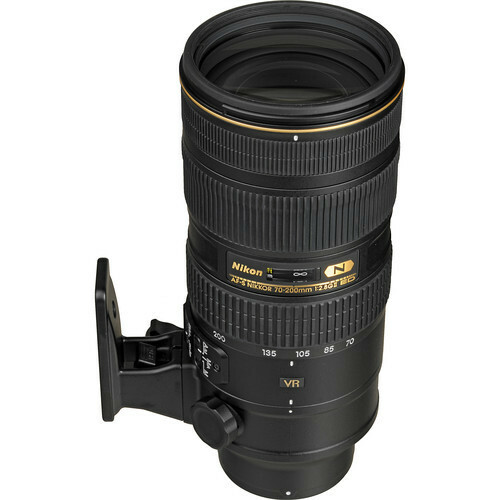 One of Nikon's great short zoom lenses, very versatile for close to mid-range subjects Very sharp, fast to focus and good low light capabilities with a fixed f/2.8 aperture. Works we will both Nikon 1.4x teleconverters with only minor loss of image quality. The Nikon 70-200mm VRII lens is the ideal lens for low-light, sports, fashion, portraits and other shots that require distance between the photographer and subject.The VR system of this lens minimizes image blur caused by shake, and offers the equivalent of shooting at a shutter speed 4 stops faster than what the camera is set for.The Nano Chrystal coat reduces ghosting and flare further for even greater image clarity. Lens will be supplied with front and back cap and protective lens bag.